Nigeria’s population is growing rapidly. It now stands at 182 million, and is projected to exceed 300 million by mid-century, surpassing the U.S. to become the world’s third-largest country. And thanks to a high fertility rate — more than five children per woman, higher than the average for sub-Saharan Africa and more than double the global rate — that growth can be expected to continue for quite some time. That enormous population — by far the largest in Africa — means that Nigeria’s economic future is especially important. 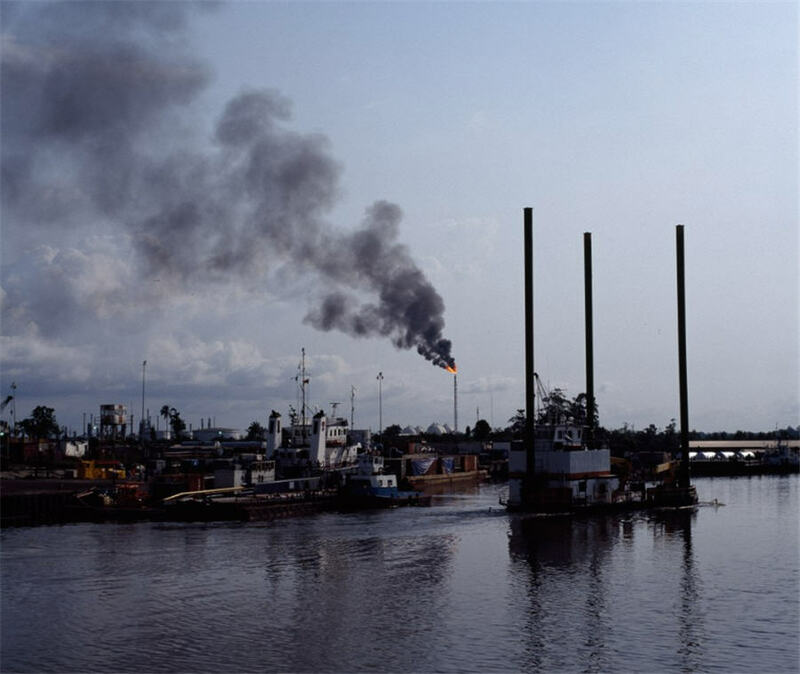 Unfortunately, Nigeria’s economy is dependent on natural resources, particularly oil. That poses all kinds of political and economic challenges that will be difficult, though not impossible, to overcome. The idea that natural resources are a good measure of a country’s wealth is a fallacy. It results in what economists call the resource curse – one of the most pernicious and mysterious ailments a country can suffer. Some might think that nature has endowed Nigeria with an enormous bounty. It has the world’s 10th largest proven oil reserves and is Africa’s largest producer of crude. Although a few small oil-rich countries such as Qatar, Brunei and Kuwait have enough oil to provide high living standards for much of their population, they’re the exception; in general, there’s a correlation between oil resources and widespread poverty. Economists have come up with many explanations for this correlation. Oil exports tend to push up a country’s exchange rate, making it less competitive in other industries. This in turn reduces an economy’s complexity, preventing it from developing supply chains or raising productivity by learning foreign technologies and production processes. A growing pool of poor, jobless Nigerians is a dangerous thing. Political stability could be at risk, especially as the country continues to be racked by internal conflict. 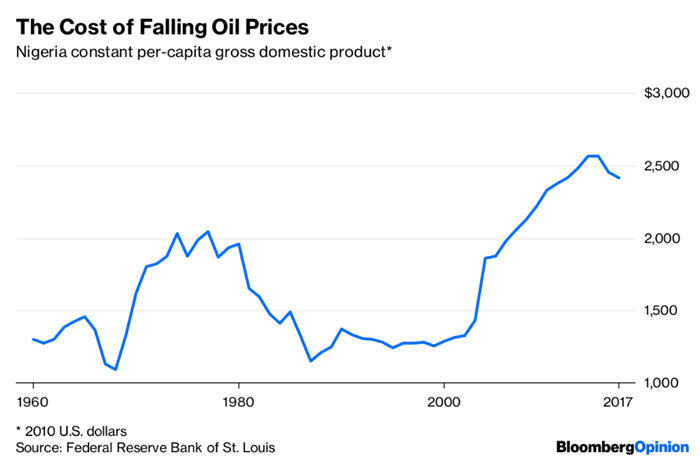 Indeed, instability and violence are features of the resource curse — when government revenue depends heavily on oil, political control represents a tempting prize for would-be coup leaders and revolutionaries. Now, oil prices are rising again, which will take some pressure off of the economy, but which could present its own set of problems. 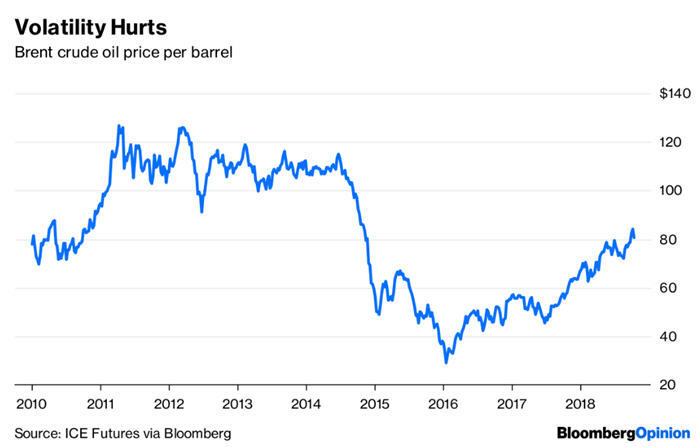 Nigeria heavily subsidizes fuel for consumers, as a way of maintaining social stability — a common policy in countries afflicted by the resource curse. With prices rising, those subsidies are the government costing more. In other words, this crucial, giant country is caught in a political-economic trap. But there may be a way out. A smaller African country, Botswana, is widely believed to have conquered the resource curse. Botswana is about as dependent on diamond mining as Nigeria is on oil. But the country has taken several steps to fend off the typical problems. To prevent its currency from gyrating, and its other exports from losing competitiveness, it accumulated foreign-exchange reserves. The stable, low exchange rate allowed the country to diversify its economy into manufacturing and services. 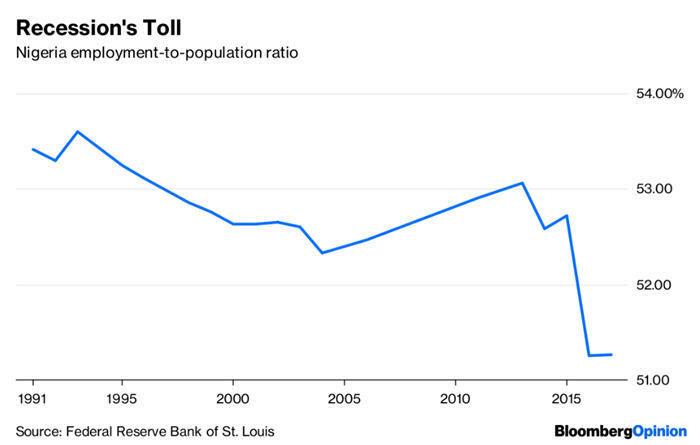 To prevent instability in its government budgets, it ran surpluses in good times and deficits in bad, basing spending on long-term revenue projections instead of short-term revenue collection and avoiding splurging on big projects when times were good. The government also invested in health and education. As a result, Botswana’s economy has grown steadily over the decades instead of suffering long declines like Nigeria and many other resource exporters. Its living standards are not lavish — its per-capita GDP at purchasing power parity is a bit less than one-third that of the U.S. — but it’s richer than almost any other country in the region. Nigeria has been trying to take a page from Botswana’s book. Its sovereign-wealth fund, the Nigerian Sovereign Investment Authority, has funds for budget stabilization and infrastructure. Its currency has depreciated, which — if the drop is sustained — will be good for economic diversification. But investment in education has lagged. Education and health are the way forward for Nigeria. The NSIA should create another fund specifically for education and health, and the government should direct as much tax money toward this fund as politically feasible. If possible, money should be diverted from fuel subsidies and other consumption supports toward these long-term investments. Some people will be upset, but since education will act as a form of child care for Nigeria’s large families, this will should offset popular anger. An educated, healthier populace will form the base for economic diversification, since service and manufacturing industries depend on a having a reservoir of able, literate workers. Along with a stable currency and budget, diversification will help insulate Nigeria against the vagaries of the oil market. Escaping the resource curse is hard, but it can be done.